It’s a big weekend in the Motherland. Today is October 6, the last day of Banned Books Week (as observed in the U.S.), and tomorrow is the 11th anniversary of the U.S. Invasion of Afghanistan. Consider this clip as a bit of an introduction to the role comics have had within the question of banned books. Comics have been criticized, censored, and outright banned from time to time over the course of their existence… particularly in the U.S. in the McCarthy-Era 1950’s. Nothing can really compete with the dishing of defamation they received as an entire medium for many years. The arguments are as numerous as they are close-minded: comic books cause criminal behavior; comic books encourage drug use; comic books discourage “proper” reading by including pictures to interpret a story in addition to words. Consider not only the reality that tomorrow marks the anniversary of the U.S. Invasion of Afghanistan, “Operation Enduring Freedom” (a campaign, which, within the first months of carpet-bombing, was said to have wiped tens of thousands of souls out of existence). 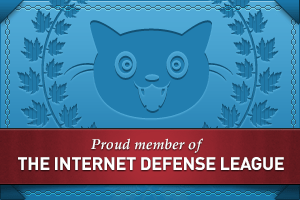 It also marks the anniversary of the country’s longest (ever!) war/prolonged military engagement. Longer than WWII. Longer than the Civil War. We are raised considering these conflicts and the catastrophic damage inflicted by them as definitive pieces of our country and its character–so what has been learned from the Global War on Terror? I’ve held onto this photo-copied zine comic (below) for about 10 years now… it amazes me that it hasn’t begun to disintegrate, although there is some serious creasing and ink erosion. I’m sorry to say that some of the text is now completely unreadable (maybe it always was, and I just didn’t notice? )… Although I know very little about this comic (I can’t find a record of it online), I want to give credit where credit is due: All artwork is (c) D. Ferrera, Amber Mclean & Dan Mchale. Anyway, I’m a HUGE fan of the illustration style here. There is an obvious realism, some straight-up brutal imagery (the section on depleted uranium and its effect of the Iraqi birth rates is devastating, but certainly not the fault of the artist). Although out-dated, there is a lot of useful information here, good enough to give anyone a crash course on the consequences of the U.S.-led, U.N.-OK’d sanctions against Iraq, which devastated the country even before the 2003 invasion of Baghdad. 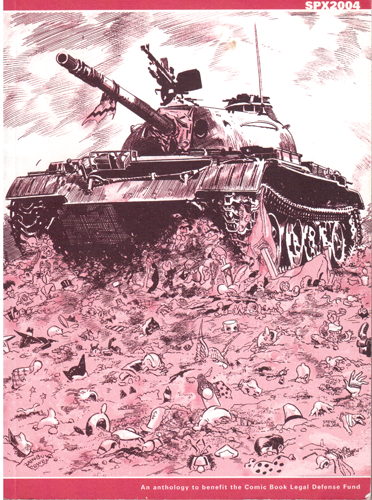 I think, despite some really low-rate copy job, that this is (or was, at some time), a pretty amazing indie anti-war comic. Hope to track down its creators some time soon, at the very least to ask for a better copy to post here. 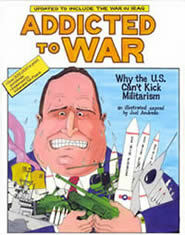 An essential is Joel Andreas’ anti-war comic, Addicted to War–cover image at the beginning of this thread–which first came out, like the above publication, as a result of U.S. aggression against Iraq in the 1990’s. Andreas, who already had experience making political graphic novels, decided it was time to take on America’s seemingly unquenchable thirst for military conflict. He approached this book with the idea that it could be used as an educational tool – in High School and college class rooms, study groups, religious centers, etc. And eventually, it was. After going out of print in the late 1990’s, it was re-printed, given some decent publicity (now available through AK Press, it’s been widely distributed through various grassroots channels) and has since sold over 200,000 copies. In 77 pages, from ‘Manifest Destiny’ to ‘Weapons of Mass Destruction’, Andreas covers a lot of ground and strings it together to show the historically documented economic and social interest of war for American men and women of power. There is more educational value in this book than in the four different U.S. History textbooks I was issued as a secondary student – combined. The book was updated to include information about the Iraq War (the copy I’m holding is a 2003-er), but it’s already so out of date. There was barely time for him to include information about Iraq and Afghanistan… of course this just means we should press him for a revised 20th Anniversary edition. 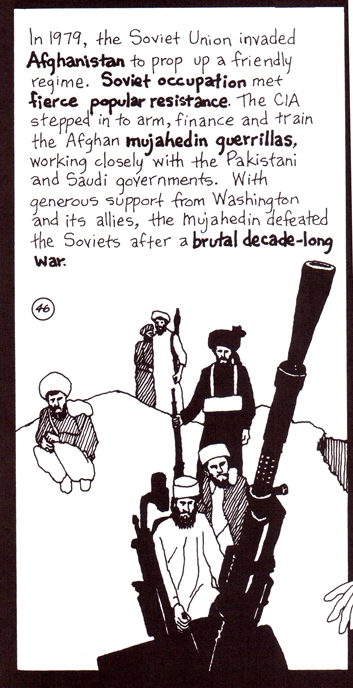 My final addition to this edition of Political Comics Review is a bit of both topics – a 2004 anthology printed to benefit the Comic Book Legal Defense Fund, and its theme was “WAR”. Much more artistically/aesthetically driven than political driven, this volume gives credit to the artists and their work to be able to raise some social commentary without it being outwardly political – and hey, it’s fundamentally political anyway, because it’s funding a good cause that’s solely dedicated to Free Speech and First Amendment protection. Funny, sad, goofy, serious. The contributions are all diverse and all a good read, approaching the subject of ‘War’ from a multitude of angles. It is a reminder of how varied the scope of “political comics” can truly be. For more information on the subject of banned comics, please please please check out the CBLDF’s website – some incredible documentation on a subject of which I’ve barely scratched the surface.